Welcome to one of the most beautiful Bays in the world. 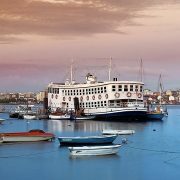 Setúbal bay was recently admitted as one of the most beautiful bays in the world in the prestigious and exclusive world bays website. This is an important attribution coming from a quite strict selection process – at the time of writing there are only 38 selected bays in the world belonging to this club. You want to know why ? come to Setúbal and find out ! Montijo’s City Council and the Portuguese Air Force are negotiating with ANA and the Portuguese Government the compensations for installing a civilian terminal for low-cost flights in air-force base no. 6 of Montijo. VISÃO has been told, the parties involved are fine tuning details for a memorandum of understanding, to be approved soon and which will allow to start works next year, in order to be completed by 2018. The use of the military air force base for civilian air flights implies the refurbishment of the current secondary runway of Montijo, which runs parallel to the main runway of Portela, since the main runway conflicts with flights from the mostly used runway of the Lisbon Airport. New connection accesses linking the Vasco da Gama bridge with the new passenger terminal must be built, implying a new toll charge station. There will also be some interventions in the local road networks of the counties of Montijo and Alcochete. River crossing connections are prioritised in this project and a fast connection to Santa Apolónia train station with a link to the cruise terminal is also foreseen. This solution does not gather the agreement of all low-cost airlines operating in the Portela Airport. Whilst Ryanair sees it as positive change, although it claims for an autonomous airport management, independent from ANA, Easy.Jet is not satisfied, since it prefers to stay in the heart of Lisbon. Read all about it in tomorrow’s edition of VISÃO. Macau Legend Development Limited has entered into a Memorandum of Understanding with the Setúbal Municipality in Portugal for the proposed development of an integrated leisure, tourism and entertainment project. 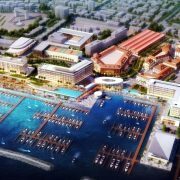 The first phase of this project will include a hotel, a shopping area, a residential area, a marina, a parking lot, a new multi-sport pavilion and a gaming arcade with slot machines. In developing the Setúbal Project, the company hopes to promote both the growth of tourism and the local economy of Setúbal and to better connect Setúbal with the neighbouring area of Tróia. Macau Legend will simultaneously inject cash or provide bank guarantee of €50m into the Joint Venture Company which will be adjusted by all contributions, costs and expenses incurred by the Company to the Joint Venture Company and confirmed by an independent valuation relating to the development of the Setúbal Project before the closing of the HoA. The existing Tróia Casino is located at the Tróia Design Hotel and has an area of 2,500 square meters with 220 slot machines and 13 gaming tables. The concession for the Tróia Casino expires in 2031. “The Setúbal project and the Tróia casino will be complementary to each other by offering different amenities. This creates synergy between the two sites and allows our project to benefit from the uniqueness of both cities,” said Mr. Chow. The District of Setúbal is located just 30 kilometers from Lisboa (and Lisbon Airport) through a modern highway system. It has an area of 230 square kilometers and a population of over 120,000 people. Connected with both the River Sado and the Atlantic Ocean, the bay of Setúbal is considered to be one of the most attractive bays in Europe and is home to a famous colony of dolphins which inhabits at River Sado Estuary. Tróia is a peninsula located in Grândola Municipality in the River Sado Estuary and is 40 kilometers from Lisbon by road and ferry, and 130 kilometers by direct roads. Tróia is an established tourist destination with facilities such as golf, fishing, boating, sightseeing and Roman archeological sites. It hosts several hotels, a casino, tourism apartments, restaurants and vineyards. We flock to the land of fado music, Ronaldo and Porto. 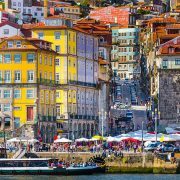 The number of holidaymakers in Lisbon and Porto have more than doubled over Portugal – there are 12 percent more tourists than last year. Jose da Silva, BNR correspondent, lives in Lisbon. He understands why Portugal is becoming increasingly attractive. “It’s one of the cheapest countries in Southern Europe and Portugal both beach and culture.” The thriving tourism for Portugal, the country that suffered from the crisis, very welcome. Tourists give 1 billion per month, doubling compared to last year. 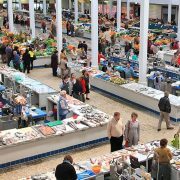 The Livramento market in Setúbal was considered one of the most famous in the world by the American newspaper USA Today. The publication compiled a list of the most famous world fish markets and highlighted in the Setubal market the 5700 tile pieces that cover an area of over 350 square metres depicting scenes of the Portuguese daily life in the 30s, such as fishing or agriculture. Traditional sardines also stand out, with the reference that in June, the month of popular saints, 13 sardines are eaten at each second. Speaking to journalists, on the fringes of the congress of the Association of Hoteliers of Portugal, David Neeleman urged the executive to resolve the matter at once. “They have to sit at the table and settle this soon, set up something temporary so we can open, not this summer, but next summer. It has to be something open there, “he said. 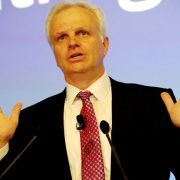 Neeleman again criticized the costs at Lisbon airport. “ANA has already increased our cost 20 times since the airport was privatized. And it is unbelievable to see that the more the airport grows, the more cost per passenger increases. About 80% of people who visit Portugal come by plane, so we need an open, cheap airport to bring in more people, “he said. 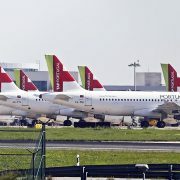 The manager also said that many of the aircraft stationed in Lisbon should be moved to Montijo not to occupy the seats of the planes “that bring people to Portugal every day”.Recently Defense Minister Azeredo Lopes declined to comment on the possibility of using the Montijo air base as a support airport. In Parliament, questioned by the CDS, only said that there is an interim study, but no decision was taken. 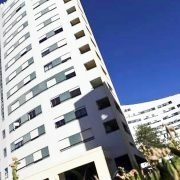 House prices in Portugal rose by 6.8 percent in the first quarter of this year, compared to the last quarter of 2016, according to new figures released this week by online real estate platform, Idealista. Portugal’s national airports operator, ANA, is to sign an agreement with the government to develop the Montijo air base as Lisbon’s second commercial airport. ANA management are preparing for a mid-February announcement of the long-awaited government decision to transform Montijo, in a deal which also may involve an extension of ANA’s 30-year contract to manage Portugal’s airports. The government has chosen the Montijo air base solution, rather than Sintra or Alverca, or building a completely new airpot at Alcohete, on logistical, cost and speed grounds. The costs involved at Montijo include a compensation payment to the Air Force, said to be around €400 million, and the installation of new road links in addition to on-site conversion work. Both the mayor of Montijo, Nuno Canta, and the president of TAP, Fernando Pinto, publicly have expressed their willingness to get involved and to find solutions to any cost hurdles in converting the Air Force base. 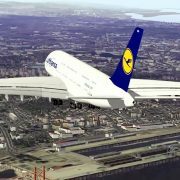 ANA’s holding company, the French owned Vinci Group, see an investment in Montijo as a way of extending its current ANA agreement as well as taking advantage of the boom in air traffic in and out of Portugal. Lisbon’s Humberto Delgado airport is approaching its capactity of 23 million passengers per year and with tourism on the increase, this level will be reached in the summer of 2018 with TAP, Ryanair and easyJet planning to increase the number of routes in and out of Lisbon. The success of Lisbon brings passenger capacity problems in the summer months and the addition of Montijo, which the government wants to see operating in 2018, will ease the pressure on the capital’s airport. The use of Lisbon’s Humberto Delgado Airport with Montijo air base already has been evaluated by Navegação Aérea de Portugal, which considers that the ‘Lisbon + 1’ solution is an adequate one, based on a 2016 report from Eurocontrol, the international body responsible for the Single European Sky. 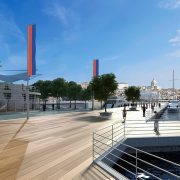 Located in the Lisbon Region, on the south bank of Tejo River, and facing downtown Lisbon, the Water City Project site has an area of 60 ha and a 2 km waterfront. The site was formerly occupied by the major private naval dockyard in Portugal (known as “Lisnave”) and one of the largest in Europe, which was deactivated in 2000. The site is currently vacant, and is managed by Baía do Tejo on behalf of the government. Having obtained planning consent, Baía do Tejo is looking to attract investors to undertake the foreseen urban regeneration of this area. Water City is planned to be a new mixed-use project based on sustainability, environment and accessibility. The metropolitan cities of Lisbon and Porto and the upmarket town of Cascais have topped an annual, national economic performance ranking by consultancy firm Bloom Consulting, which analyses business, tourism and living conditions in Portugal’s 308 municipalities. Lisbon once again reigns supreme on this fourth, annual list, in all three categories – ‘Business’, ‘Visiting’ and ‘Living’ – followed by Porto in second, and Cascais, in third. Rounding off the top ten are Braga, Coimbra, Sintra, Funchal, Oeiras, Faro and Setúbal. Bloom Consulting highlighted Faro’s ascent to the top-10, having been off it since 2014, while it stressed Cascais “swapped places with Braga” in a close-cut wrangle for the last spot on the podium. It also made special mention of Funchal, which “has not stopped growing” since the first edition of the ranking. Conversely, Guimarães and Aveiro were conspicuous for falling on the table, with Guimarães dropping out of the top ten last year to 14th place this year, while Aveiro fell from 10th to 11th position. Along with some changes among the top ten spots, the ranking of the top-25 also saw some jiggling this year: “There were 17 changes in positions compared to the previous year. This does not mean the downgrading of some of these municipalities, but rather the sharp rise of several municipalities that tend to assert themselves as major poles of tourism attraction, business and talent in the national context.”, Bloom Consulting explained. Besides Lisbon and Porto, only Coimbra, Sintra, Matosinhos (16th), Maia (21st), Torres Vedras (22nd) and Mafra (25th) maintain the same positions of the last edition in the overall ranking. Vila Nova de Gaia achieved the “most impressive growth” on the table, climbing from 34th spot to 12th place over the four editions. In terms of regions, Lisbon and the North are the most represented in the top 25 (with seven counties each), followed by Central Portugal (six), Algarve (three), Alentejo (one) and Madeira (one). “Although there is no representation from the Azores, the climbing of nine places by Ponta Delgada shows that the Azorean presence in the ‘top 25’ may be soon”, concludes Bloom Consulting. Bloom’s Portugal City Brand Ranking analyses the success of the 308 Portuguese municipalities and the relative performance among them in attracting new investors, tourists and new residents. It measures this according to variables such as statistics, demand, and online surveys as well as through municipal websites and social networks. 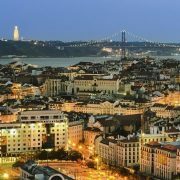 A study by hotel and flight search engine Jetcost has established Lisbon as its European users’ favourite destination in 2016. The Portuguese capital was, according to Jetcost, the most sought after city by French, British, German, Italian, Dutch and Spanish travellers. 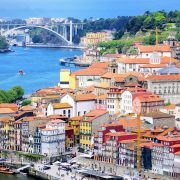 The northern city of Porto and the southern city of Faro also scored high up on the ranking. Madeira was the among the top choices for islands, with the Azores coming in in fifth place.